Bozikas’s dark metaphoric language aptly captures Stiles’s descent from a respectable family man into a deadly secret agent. 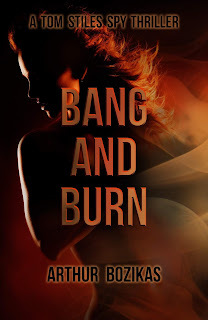 If James Bond had an MBA, an Australian accent, a guilt-ridden conscience, and a ruthless violent streak, he might look something like covert agent Tom Stiles, the haunted protagonist of Arthur Bozikas’s hard-hitting thriller, Bang and Burn. In spite of any possible Aussie stereotype, Bozikas draws Stiles as a complex character who gets entangled in the criminal underbelly of bustling Sydney, where business, politics, technology, and crime intersect in strange ways. 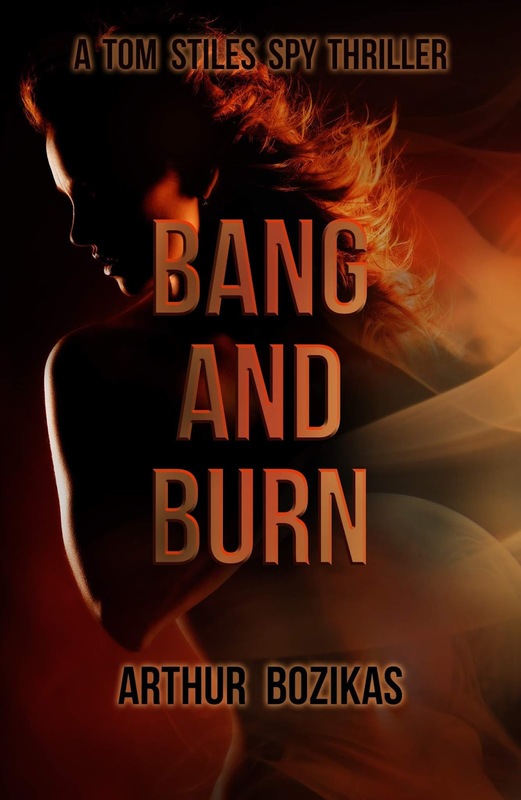 The first installment of a series, Bang and Burn is a smart and sizzling debut. The novel opens with a tryst and a car accident, both rendered in memorable detail, after which Stiles is compelled to confront his lies, infidelities, and the discrepancies between his public persona as a well-respected family man and his dark private life ruled by a self-destructive need to take risks. Bozikas wastes no time digging into his character’s demons: “The long tuneless white noise of death had followed him his entire life.” Later, just as precisely and poignantly, Bozikas writes, “There was always some cold hard place in him, bullet-shaped he imagined, that resisted obligation and the duty to love.” Although he’s a successful businessman, Stiles carries with him a troubled past, the loose threads of which pull him into the thrall of a wannabe mob boss named Vlad. What follows is a web of international intrigue, double-crossing, and the emergence of a shadowy covert operation known as Black Ops Zulu. Bozikas’s strength as a writer becomes a weakness at times, especially after the gripping first chapter. Attempts to humanize Stiles simply belabor his conflicted moral state, bogging down the plot with excessive backstory and internal monologue. For instance, when Stiles goes on a shopping trip in Double Bay with his family, the narrative resembles more a rambling family drama than the taut thriller promised in the beginning. Bang and Burn culminates in a number of brutal action scenes, including an all-out battle in the suburbs of Sydney. Bozikas’s dark metaphoric language aptly captures Stiles’s descent from a respectable family man into a deadly secret agent. “The sun was the color of an open wound,” reads a foreboding line. Bang and Burn is an international thriller with considerable depth. Bozikas has laid enough groundwork for a promising series. Hi All, Bang and Burn is not my second book. I’ve just redesigned the cover, rearrange words / paragraphs and even added an extra chapter to my debut book Pivotal Velocity. The benefits of self-publishing is that I can do this. These changes hopefully lessen the confused readers have. However, I wouldn’t do it again! I strongly feel that it’s not about attracting publishers for me now, it’s about getting it right for the readers. The new title, for example, Bang and Burn is slang used by intelligence agencies meaning: Demolition and Sabotage Operations. Pivotal Velocity had no connection at all. Anyhow, I can move forward now and release my next book in 2018. The first book in the Tom Stiles Thrillers series is now available from Amazon Kindle, Barnes & Noble NOOK, Kobo, Apple iBooks and Google Play Books.